George Papadopoulos, the former Trump campaign foreign policy advisor who pleaded guilty to lying about his contacts with Russians, met with a British Foreign Office official two months before the U.S. election, the BBC reports. Per the report, the U.K. government "apparently treated him with the type of deference due to a top-level political adviser." Why it matters: While a spokeswoman for the Foreign Office told the BBC that "this type of outreach is normal diplomatic business," the BBC notes that the meeting "undercuts the White House's recent assertion that Papadopoulos was a campaign volunteer of little importance." 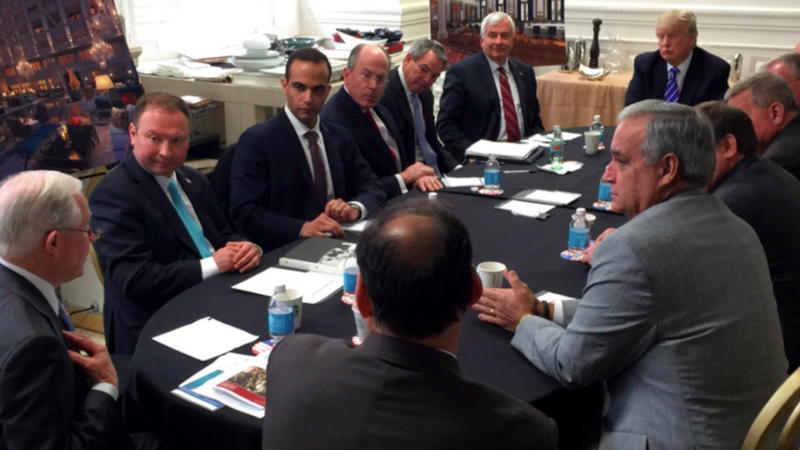 It's unclear whether Papadopoulos was asked by the Trump campaign to hold the meeting.